1995. Acrylic on canvas panel. 22"x28". 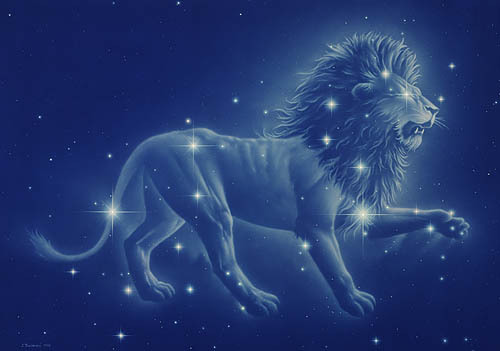 The mythical figure of Leo the Lion stalks through the stars of his springtime constellation.